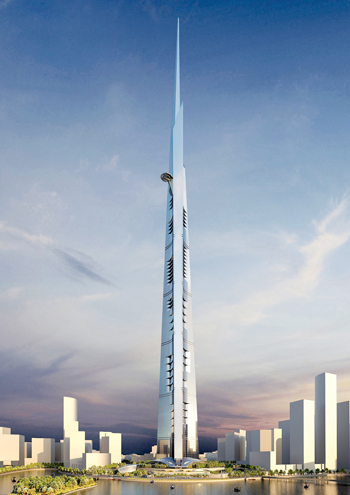 Kone Corporation will deliver the world’s fastest and highest double-decker elevators to Kingdom Tower in Jeddah which when completed will be taller than Burj Khalifa, currently the tallest building in the world. Jeddah Economic Company (JEC), co-founded by Kingdom Holding Company (KHC), is developing Kingdom City, Jeddah, which will feature Kingdom Tower. JEC, chaired by Prince Alwaleed bin Talal Abdulaziz Al Saud, announced that Kone would be the vertical transportation provider for the tower. Kingdom Tower will be equipped with 65 Kone elevators and escalators including 21 Kone MonoSpace elevators, 29 Kone MiniSpace elevators, seven Kone DoubleDeck MiniSpace elevators, and eight Kone TravelMaster 110 escalators. 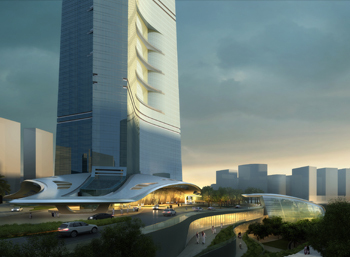 Kingdom Tower is scheduled for completion in 2018. The tower will be 1,000 m tall, have 167 floors above ground and four below ground and house 530 apartments, 200 hotel rooms and 3,190 parking spaces.